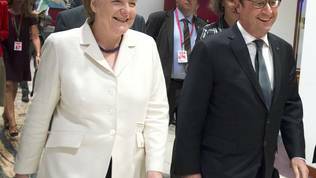 Criticism like a summer storm has been pouring down from everywhere over the last few days aimed at the Monday morning deal between the Eurozone and Greece. The main arguments are that this is a brutal diplomatic blow at Greece, the currency club has never stood more divided, and this is one very bad deal. Some even venture further, predicting the demise of the whole European project. Certainly, regardless of what smaller states are doing, all of the attention goes to Germany, who is portrayed as a meek but gradually hardening dictator of the Eurozone. 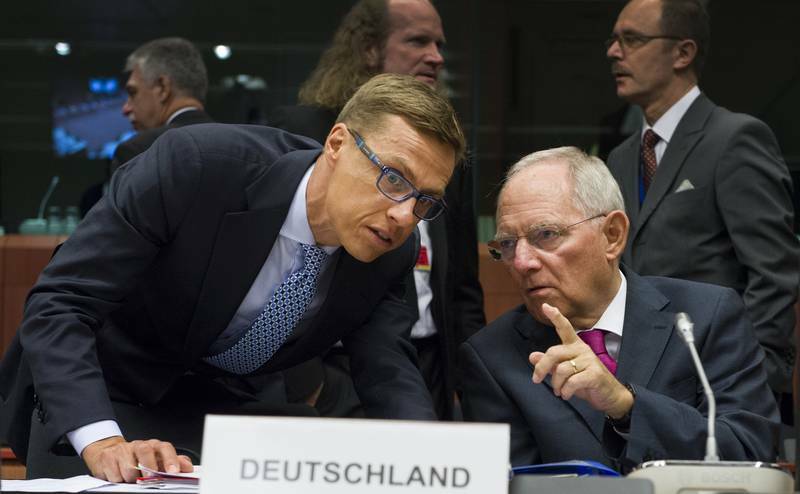 All of this because the Eurozone refused to budge from its principle of money-for-reforms. 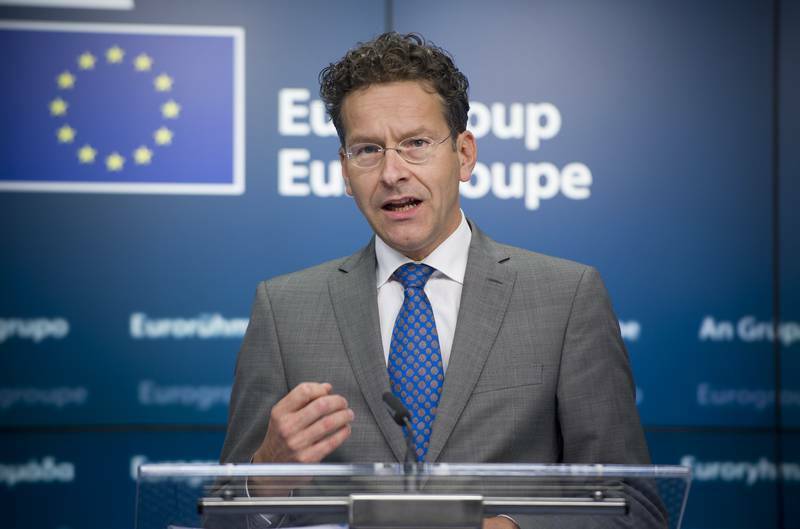 As illustrated by the re-elected for a second term Eurogroup boss Jeroen Dijsselbloem, there is not much sense in giving money to a state that is not solving its underlying problems. 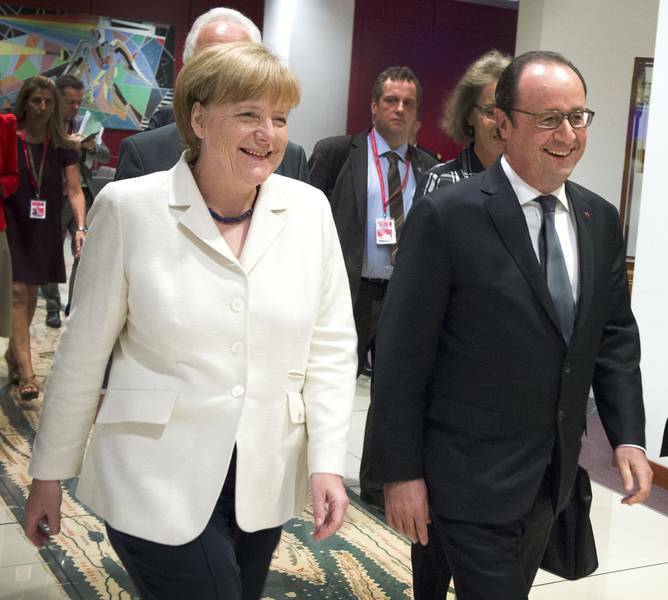 Actually, contrary to the predominant idea, the Eurozone has never been more unified. In the words of Italian Finance Minister Pier Carlo Padoan out of 18 members (excluding Greece) only three were against kicking Greece out of the Eurozone – France, Italy and Cyprus. All the rest were firmly in favour of ending the six-year long drama. There is much greater disunion in the media sphere, where interpretations of the July 13 agreement vary widely. Which is very strange, for the situation is crystal clear. The government of populist Alexis Tsipras wanted to receive an indefinite amount of financing to keep the state and economy on life support while conjuring up a new economic model to allow Greece to continue spending at the current rate, not lowering pensions, wages, and other expenses, while at the same time investing in its economy, so that it comes back on its feet somehow without reforming the deeply fragmented VAT system, not touching the labour market that is adamantly keeping away new players, and all the rest that the EU demands of Greece and all the rest with similar problems by the way. This can be easily seen in the European semester reports and nation-specific recommendations. 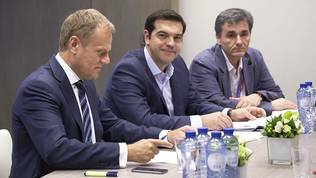 In principle, Alexis Tsipras’s government agrees that tax collection rates must improve and a battle against corruption and clientelism should be started but until now had no suggestions as to how and when this will happen, so the Eurozone can assess how much longer it will need to finance Greece waiting for the far left’s economic miracle. Neither did they work on it over the last six months. As an award for its patience the Eurozone was expected to write off all the money invested so far in the attempt to stand Greece on its legs. This, according to the critics, would have saved the European project for it is much more than just fiscal discipline. What would have happened if the Eurozone had yielded to Greek demands, or rather refusals in the name of unity and integrity? Critics keep forgetting that the problems that came up between Greece and the Eurozone over the last six months are not ideological or economic in their nature. The Greek government behaved like a child that says “no” to everything, stomps his foot, raises hellish noise, and offers no alternative, backed by definite figures, deadlines and other vital data. Thus any extension of financial aid without a lon-term commitment to ending of its necessity is throwing public funds in the garbage. Had the currency club accepted such a solution in the name of “unity” it would have continued to drag on its belly with unsteady economic growth, continuing drop in investments, and an upward trend of public debt, whose price would only grow due to not taking adequate measures. The Eurozone struggled out of a prolonged recession that took a heavy toll – gigantic unemployment in the periphery, nearly the entire economic convergence built for decades swept away in no time. The currency club’s escape from the great recession happened partly as a result of the substantial reform of economic governance with dropping oil prices making the exit quicker and easier. The countries whose economies are currently growing are the ones that implemented serious reforms. The others, where growth is more moderate, but still present, benefit from their size, low oil prices, and the European Central Bank’s monetary policy. Today it is SYRIZA, tomorrow PODEMOS, National Front, it is a long list. Each of them has their own vision that has nothing to do with EU unity, nor would it contribute to it as a side effect. What happened to Greece, good or bad, is a blow against populism, which is against everything but offers no alternative. 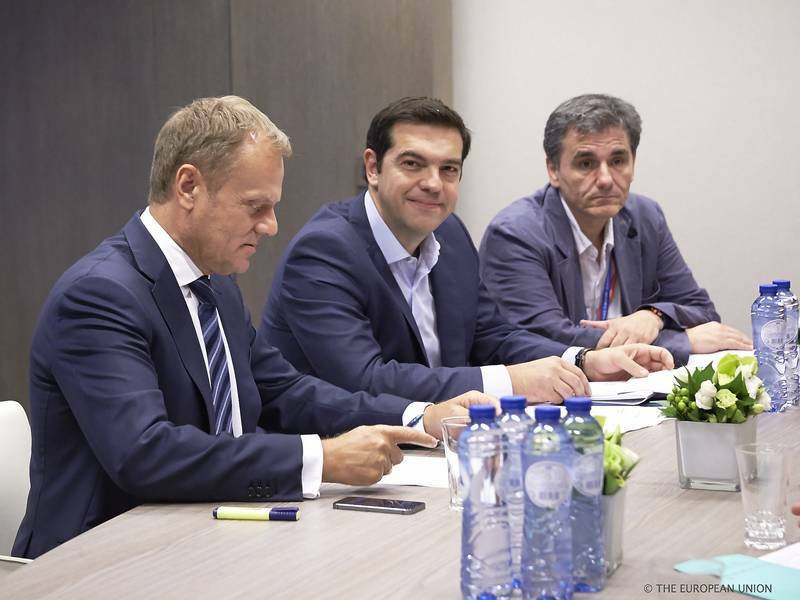 SYRIZA wants Greece to remain in the Eurozone but does not know how to make this happen with no money. National Front in France is against the Eurozone in principle. Paris received its third two-year extension for the correction of its excessive deficit and other economic imbalances. The new deadline coincides wit the presidential elections year (2017). If at that point France once more stalls and asks for its violation of Stability and Growth Pact provisions to be remitted, as it has been several times already, how would that contribute to Eurozone unity when everyone unanimously agrees that it is suffering from violations of its own rules? 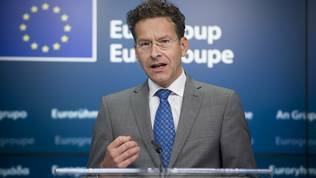 Wouldn’t disregarding rules become even easier if a new bigger concession is granted to Greece? It is a very real situation where Marine Le Pen, provided she wins the presidency, could threaten with exiting the Eurozone if her demands are not met. And this is France, not Greece which the Eurozone could swallow. If France, the second irreplaceable component of the European twin engine, leaves, then the Eurozone and the EU as a whole lose their point. We should not disregard the resilience of smaller member states – Finland, the Netherlands, and also the ones who lack populist movements but got through heavy reforms on their own and now have to swallow the fact that rules do not apply to some, while they themselves have already paid the stiff price of change. Full demoralisation ensues and respectively disintegration. This is the price of the “solidarity” demanded of the EU toward Greece. And the Eurozone is only partially responsible for the Greek bankruptcy. Outside of the common currency Greece would have gone bankrupt several times due to bad management. The Eurozone however has no cure for this problem. Any step in this direction is labelled a “coup”, “dictatorship”, “Eurooligarchy” and so on. How to come out of this situation? According to the critics – with more integration, though, if possible, without taking away any more sovereignty, without enforcing strict reforms, by the creation of something like a transfer union, where every member develops at its own speed, but the speedy flow of money towards the slower and less-achieving ones to keep going, waiting for the integrational miracle – a strong Eurozone. At this point a deeper integration to deal with the lack of political and economic convergence is impossible. 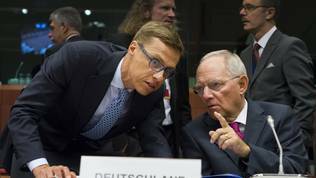 At the moment sovereignty is united (shared) in the Eurozone, which turns out to be a problem to critics too. With shared sovereignty the fate of all is built around the musketeers’ principle – one for all and all for one. The construction is quite wobbly but nevertheless sharp criticisms for violated or even revoked sovereignty, meddling in internal affairs, and so on are voiced at every attempt to fix creaks here and there. Once the masterminds of the Eurozone thought that economic convergence would solve the structural flaws of the project. Alas, they failed to predict the democratic and political discrepancies. In some states democracy is fragile and often falls prey to oligarchies and soft dictatorships. In others democratic evolution requires parliamentary approval or even referendums for every change, and yet in third the situation is more moderate. This makes the solution to the equation too difficult, especially at this point. The solution to any one of he Eurozone’s problems, especially structural flaws, is by no means a continuation of subsidising unreforming countries. A possible solution to the problem is instituting accession to the new, more integrated Eurozone to be based on strict economic and political criteria. The report of the five presidents provides for such a filter. It talks about denying access to more integrational elements like an eventual common budget to countries that do not implement structural reforms fully and thoroughly. This is a good option. At the moment, contrary to the preliminary signals, there is strong support within the Eurozone towards going along with the five presidents’ report. If at the beginning attitudes were that until the Greek problem is solved there could be no going forward, at this point member countries agree that it is exactly because of Greece that integration should continue. It is very important that a sober and well thought-out decision on how this should happen is made. Whether by the exclusion principle, meaning the ones that do not cope have no access to certain integrational goods, or by the inclusion principle – access to said goods to be granted by the accession mechanism. That would mean enforcing high economic, political, and democratic access benchmarks to closer integration. It is possible to do a combination of the two - after implementing regular monitoring of the mentioned benchmarks and at a detected deviation the “guilty” state’s access is automatically revoked. The European Union can&apos;t transform itself into an accordion or in a hotel&apos;s revolving door, with countries permanently menaced to surrender or exit. This German Europe is more than ridiculous: it&apos;s a reign of terror or, at best, of the "natural selection" of the "true" (i.e. German) European nations. And above all it&apos;s the most encouraging push for Europeans to vote for the "populist" parties. With the leading role of the UK. The positive alternative to this monster? A federalist, truly supranational, construction, with all true European countries on board. "Hic Rhodus, hic saltus". Now.